How do I get over feeling sad about giving up the foods I love? Don’t celiac patients look a certain way? Can I eat wheat when I travel to Europe? Today the Gluten Free RN is answering your frequently asked questions about celiac disease, clearing up misconceptions around the safety of wheat in Europe, the appearance of a celiac patient, and the percentage of the population that suffers from gluten sensitivity. She speaks to the challenges of getting your healthcare provider to do appropriate testing for celiac disease and the learning curve associated with changing your diet. Nadine also explains the risks of embarking on a gluten challenge and the benefits of a super-good high fat diet. She discusses why a single breadcrumb can trigger an autoimmune response and how she uses tools like a Nima Sensor when she eats out. Listen in and learn why one negative test doesn’t rule you out for celiac disease, especially if you suffer from type 1 diabetes. Having celiac disease doesn’t mean you have to live in a bubble. 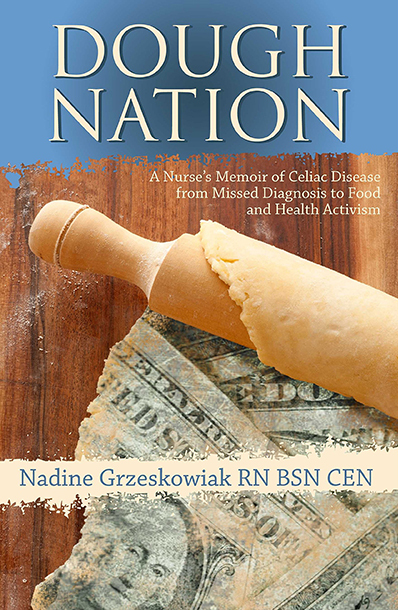 The Gluten Free RN wants to give you the answers you need to navigate the world—happy, healthy and gluten-free!